^ Maton, Anthea; Jean Hopkins; Charles William McLaughlin; Susan Johnson; Maryanna Quon Warner; David LaHart; Jill D. Wright (1993). Human Biology and Health. wood Cliffs, New Jersey, USA: Prentice Hall. ISBN 0-13-981176-1. Codes for veterinary use (ATCvet codes) can be created by placing the letter Q in front of the human ATC code: for example, QR. National issues of the ATC classification may include additional codes not present in this list, which follows the WHO version. Bronchography is a radiological technique, which involves x-raying the respiratory tree after coating the airways with contrast. 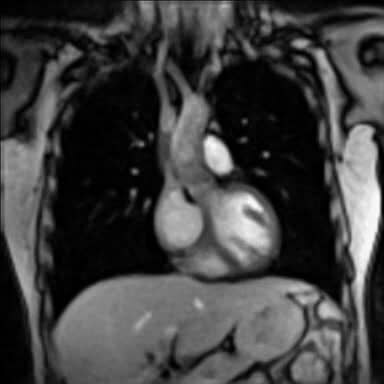 Bronchography is rarely performed, as it has been made obsolete with improvements in computed tomography and bronchoscopy. A bronchus is a passage of airway in the respiratory system that conducts air into the lungs. The first bronchi to branch from the trachea are the right main bronchus and the left main bronchus. These are the widest and enter the lungs at each hilum, where they branch into narrower secondary bronchi known as lobar bronchi, and these branch into narrower tertiary bronchi known as segmental bronchi. Further divisions of the segmental bronchi are known as 4th order, 5th order, and 6th order segmental bronchi, or grouped together as subsegmental bronchi. The bronchi when too narrow to be supported by cartilage are known as bronchioles. No gas exchange takes place in the bronchi. Carbuterol (INN; carbuterol hydrochloride USAN) is a short-acting β2 adrenoreceptor agonist. Mucus ( MEW-kəs) is a polymer. It is a slippery aqueous secretion produced by, and covering, mucous membranes. It is typically produced from cells found in mucous glands, although it may also originate from mixed glands, which contain both serous and mucous cells. It is a viscous colloid containing inorganic salts, antiseptic enzymes (such as lysozymes), immunoglobulins, and glycoproteins such as lactoferrin and mucins, which are produced by goblet cells in the mucous membranes and submucosal glands. Mucus serves to protect epithelial cells (that line the tubes) in the respiratory, gastrointestinal, urogenital, visual, and auditory systems; the epidermis in amphibians; and the gills in fish, against infectious agents such as fungi, bacteria and viruses. Most of the mucus produced is in the gastrointestinal tract. Bony fish, hagfish, snails, slugs, and some other invertebrates also produce external mucus. In addition to serving a protective function against infectious agents, such mucus provides protection against toxins produced by predators, can facilitate movement and may play a role in communication. Description and classification of the sounds usually involve auscultation of the inspiratory and expiratory phases of the breath cycle, noting both the pitch (typically described as low, medium or high) and intensity (soft, medium, loud or very loud) of the sounds heard. Revefenacin (trade name Yupelri) is a pharmaceutical drug for the treatment of chronic obstructive pulmonary disease (COPD). It was approved for use in the United States in 2018. It was developed by Theravance Biopharma and is marketed by Mylan. Revefenacin is formulated as a solution that is nebulized and inhaled.Revefenacin is a bronchodilator that exerts its effect as a long-acting muscarinic antagonist. Spiracles () are openings on the surface of some animals, which usually lead to respiratory systems. Umeclidinium bromide (trade name Incruse Ellipta) is a long-acting muscarinic antagonist approved for the maintenance treatment of chronic obstructive pulmonary disease (COPD). It is also approved for this indication in combination with vilanterol (as umeclidinium bromide/vilanterol). Umeclidinium bromide/vilanterol (trade name Anoro Ellipta) is a combination drug approved for the treatment of chronic obstructive pulmonary disease (COPD). It is applied as an inhalation.